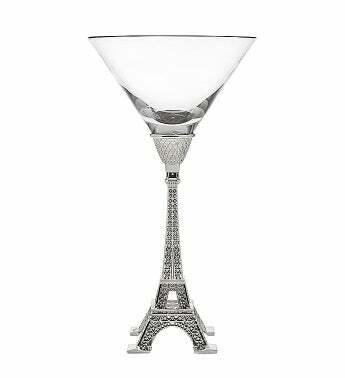 Bring the city of lights to their home with these dazzling martini and champagne glasses. Pick your favorite glass/aperitif. Perfect for winding down or getting the party started, it's a piece of tableware that's sure to spark fun conversation. Bring the city of lights to their home with these dazzling martini and champagne glasses. Perfect for winding down or getting the party started, it's a piece of tableware that's sure to spark fun conversation.